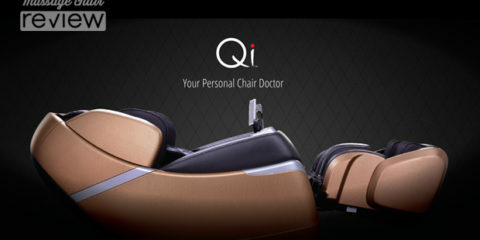 Osaki introduced the Pro Series line of massage chairs with the Osaki OS-3D Pro Dreamer as their top of the line chair. The Pro Dreamer is one of the most complete full body massage chairs on the market today. It features a sleek design with one of the best rollers on the market. The all new 3D roller system is able to reach many of those hard to reach areas on your back while providing an incredible deep tissue massage. 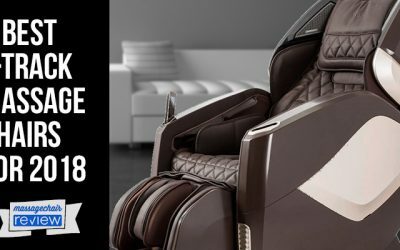 We will break down the features that we feel make the Osaki OS-3D Pro Dreamer one of the best massage chairs on the market. The 3D Roller Technology of the Osaki OS-3D Pro Dreamer is what really sets it apart from the competition. The rollers have the ability to not only go up and down, but in and out to provide one of the best deep tissue massages on the market. The Pro Dreamer incorporates the new 2nd generation S-Track that is designed to contour the human back better than ever to enhance the movement of the massage heads with precision. The improved 3D pressure sensor technology scans your back to create a virtual map as it reads the curve of your spine and makes micro adjustments to apply pressure where it is needed. With 5 intensity options and from normal to very strong and 3 width options, the Pro Dreamer is sure to soothe tension from your back. The Zero Gravity position was introduced by NASA is provides a relaxed position that minimizes the pressure along your spine and back. 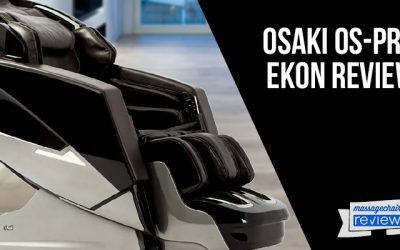 With a touch of a button, the Osaki OS-3D Pro Dreamer will recline back while bringing your legs up to position your heart below your legs. The zero gravity position will increase circulation and relax you even more to give you an even better massage experience. 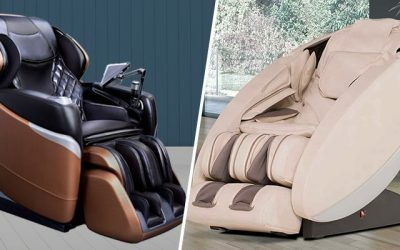 The airbag system of the Osaki OS-3D Pro Dreamer massage chair uses multiple airbags and motors to apply a compression across your body for a deeper and better massage. Airbags are located on the top and bottom of the arm rest to apply a compression massage long the forearms and hands. 2 airbags are located on each side of the waist to employ a massage and also to help keep you in place for better back massage. 6 airbags are located around the seat and hip to give you a compression massage to the seat area and to apply a hip rotation. The airbags can also be adjusted manually with 5 intensity strengths. 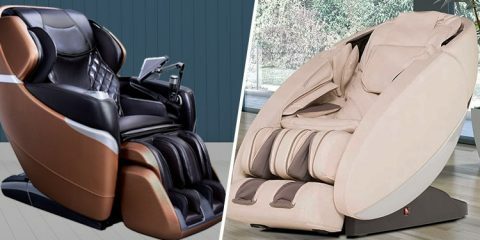 The airbags can be used together with the manual massage techniques to customize your massage. The calf and foot massage is capable to make adjustments to tailor the massage to you and to ensure that the air bags are concentrating on the correct areas. The Osaki OS-3D Pro Dreamer has 2 foot rollers that thoroughly massage the bottom of the feet. The rollers spin at the same time to hit various acupressure points in your feet. The airbags also inflate applying a deeper pressure to the soles of your feet. The Pro Dreamer’s foot rollers are not too intense like some other massage chairs that we have tried, and are great even for sensitive feet. The foot rollers also can be turned off at any time by pressing a button. 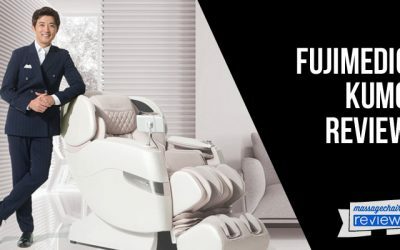 The Osaki OS-3D Pro Dreamer comes equipped with many pre-programmed massages and manual massage techniques that will keep you relaxed. Each pre-programmed massage uses the roller technology as well as airbag compression to deliver a full body massage experience. The Dreamer starts off by doing a 3D body scan that tells the 3D robot where to massage and where not to. It reads depth, and adjusts appropriately to the curve of your spine. You can actually feel the roller make 3D adjustments in the pre-programmed massage modes. 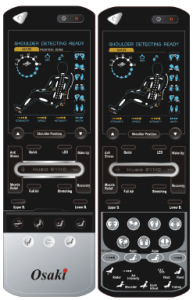 There are a lot of ways to customize your massage with the OS-Pro Dreamer. You can adjust the strength, speed and intensity, as well as the width of the rollers. In addition, you can adjust the depth of the rollers by using the 3D adjustment. 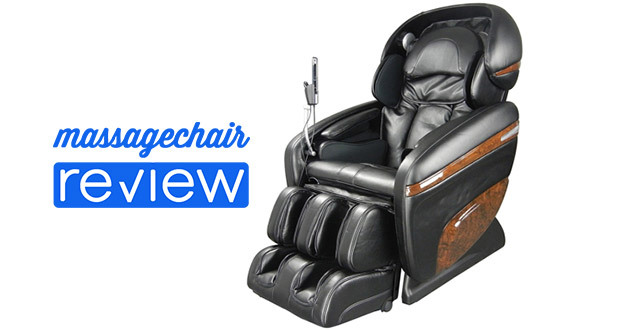 This makes it one of the most customizable massage chairs on the market. There is also a spot and zone feature too. 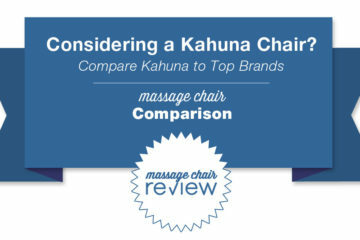 The spot feature focuses on a specific pain area, while the partial feature focuses on zone of your back. There are not many massage chair that have this many manual adjustments. The body has approximately 350 acupoints with nearly 100 in your back and neck alone. 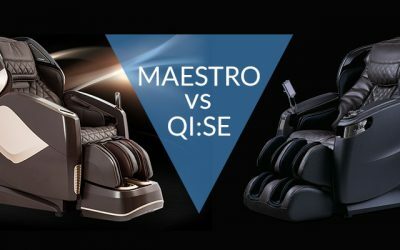 From the soothing palm style massage of the Swedish massage, to the deep tissue kneading and the shiatsu style massage, the OS-3D Pro Dreamer zero gravity massage chair has a variety of techniques to target the acc\upoints with incredible precision. 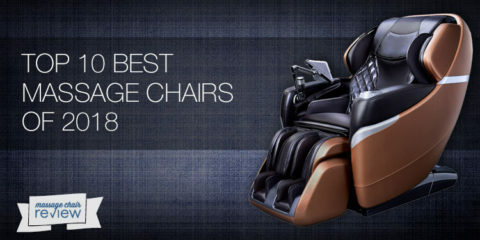 The Osaki OS-3D Pro Dreamer massage chair also has some additional features that make it a great value. There is a music system with MP3 connection and two external speakers. There are 2 blue LED lights on the side of the chair to provide Chromotherapy lighting while in a darker room. Back heat is provided to ensure that the muscles in your back relax to provide a deep massage. The large LCD display allows you to make multiple adjustments in your massage while providing you with information during the massage. 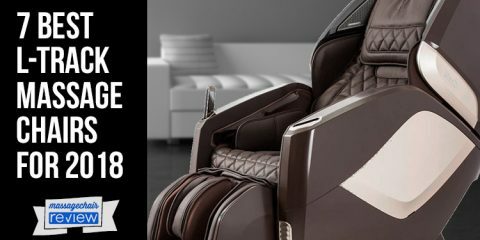 Most massage chairs have a warranty 3 year warranty with only 1 year of in-home service, but the Osaki OS-3D Pro Dreamer massage chair comes with a 4 year warranty that includes 2 years of in-home service and 4 years of parts. 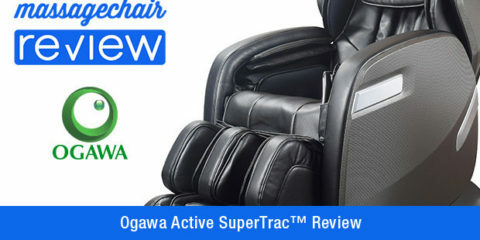 Overall, the Osaki Pro Dreamer is an incredible full body massage chair. 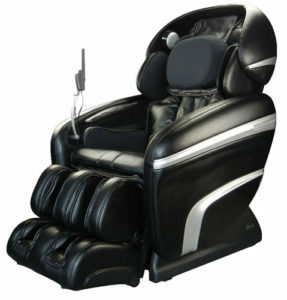 The manufacturer retails this massage chair at $6295 and can often find them for cheaper online. 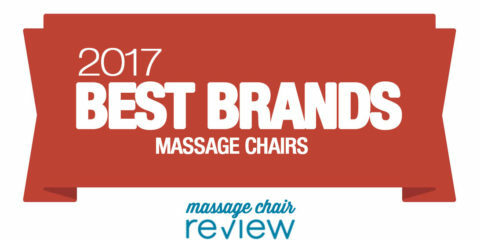 If you are interested in making a purchase or want some in depth information, make sure to check out or partners at Emassagechair.com.